home Zalk Veterinary Medical Library Team Zalk: Meet Shadow! Species: Oryctolagus cuniculus. 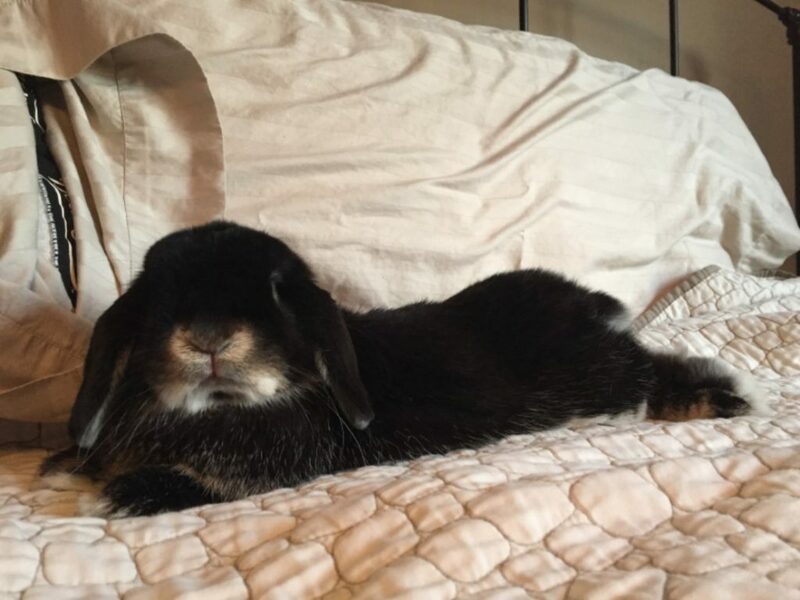 Mini Lop-Eared Bunny. Likes: Pellet treats. His brothers. Apples. Head massages. Hiding. Dislikes: Being held. Untimely delivery of pellets. What he does all day: Eats hay. Sleeps in his hidey spot. Waits at the door for someone to let him out of his room.